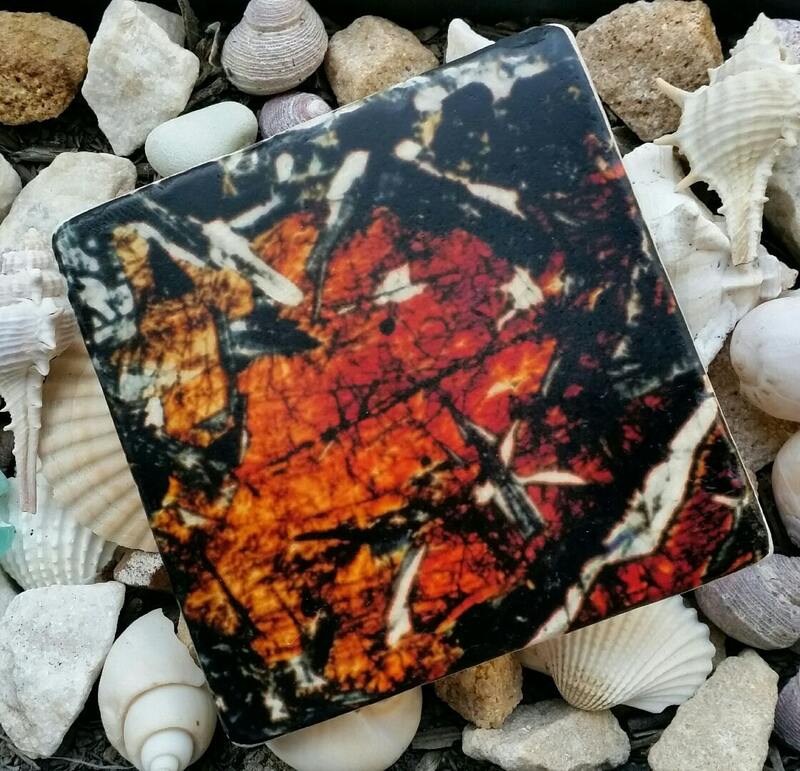 Mineral Photo Custom Feature Tiles - these tiles start out as blank white tiles, to which I add a digital print of Sue's Mineral Photos. My process works on most tile surfaces. I'm currently working with subway tiles (10cm x 20cm) which look great with Sue's photos, as she took the photos with a 'landscape' orientation. I can also work with other sizes up to 30cm x 30cm. If you want to use another size tile not listed here, that's fine, as long as they are readily available I am happy to do this. You would need to click on 'Contact Us' to let me know what size you want, and I will add that size to the listing. 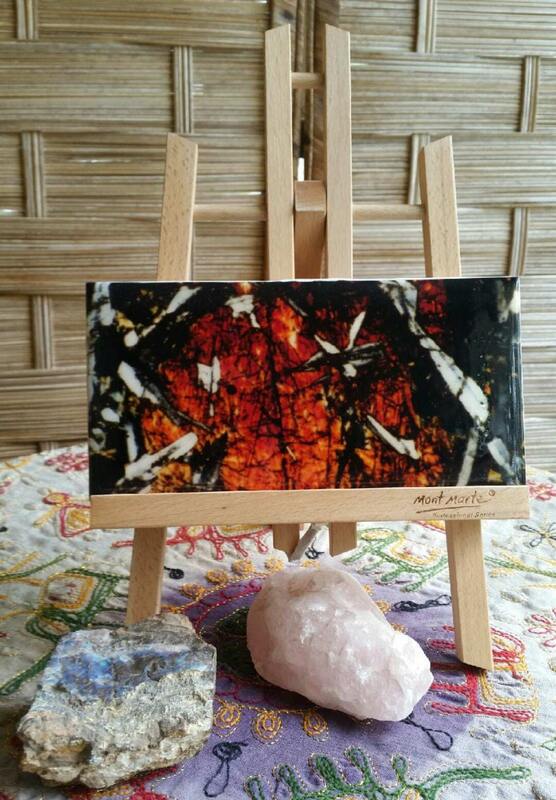 This photo depicts a magnified view (under crossed polars) of pyroxene crystals being altered by feldspar laths. 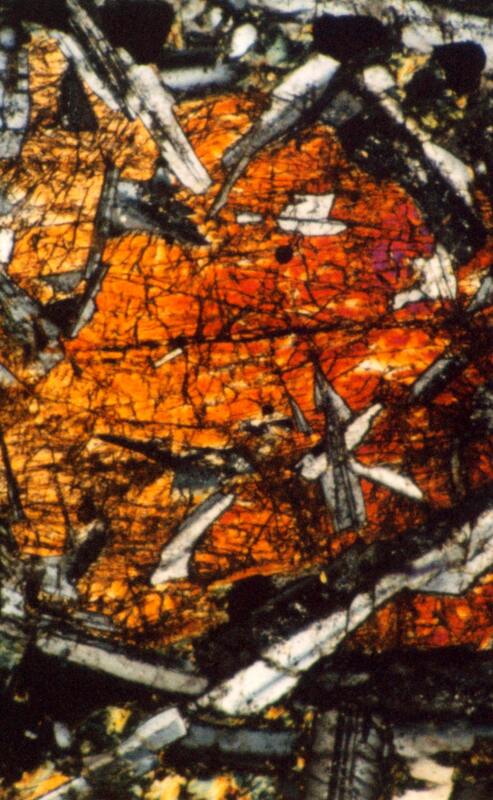 Rock thin section viewed at a thickness of 0.03mm (30µm). The process I use to customise the tiles involves a manual process to place each image on the tile using a specialised photographic paper or vinyl. The image is then either enamelled and baked or sprayed to fix the image and ink on the tile, and sealed using a commercial grade epoxy resin to achieve a permanent UV stable, high gloss finish. This is a fairly labour-intensive and time-consuming process to produce each tile, but the result is worth it as the tiles look spectacular. The main credit goes to Sue's beautiful photos obviously. 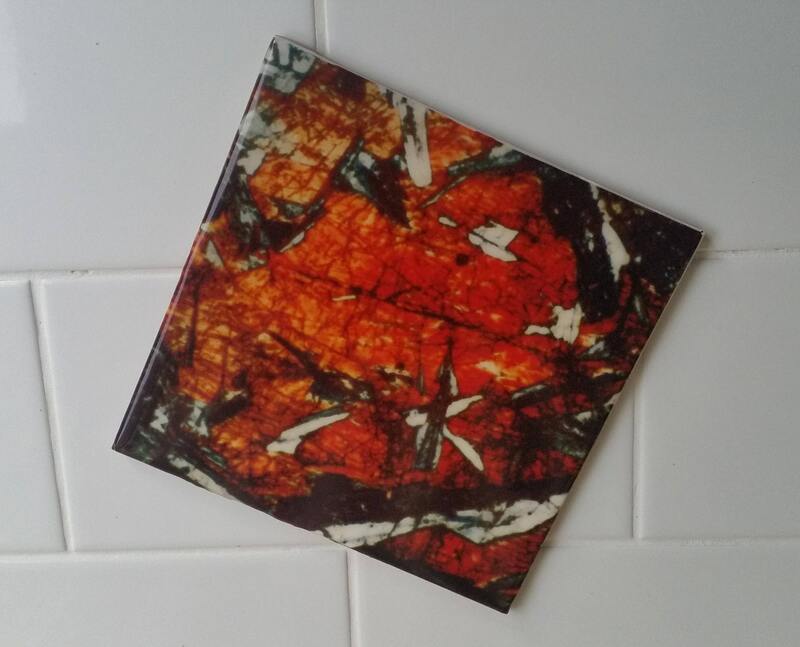 If you have your own artwork or favourite photo that you would like to use, please check out 'Custom Feature Tiles' in my shop, this is another service I am offering - to print your photos and make feature tiles using your own art or photography! 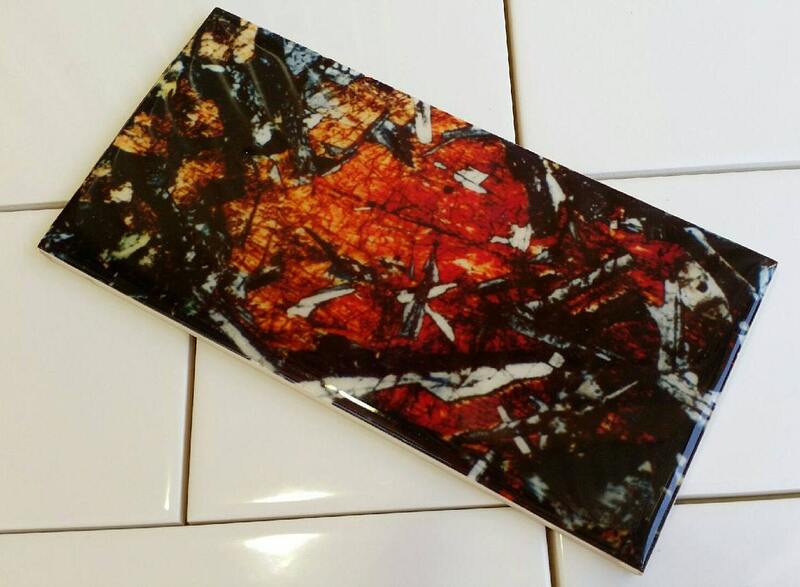 For Mineral Photo custom tiles I supply the tiles and the artwork and provide the finished tiles. If you want to use a specific type or brand of tile for your order, please let me know, however my costs per tile are calculated on 'standard' white ceramic tiles. This photo is also available as prints on canvas and fine art paper under 'Mineral Photo Prints', starting at $16.10 for A4 size (21cm x 30cm). Please take into account when ordering that I hand-design and finish each tile, and each step in the process takes time. If you have tight time frames I can work with you to try and achieve that. Just place a note during the order process to let me know, and/or click on 'Contact Us' to advise, so I can identify your order. 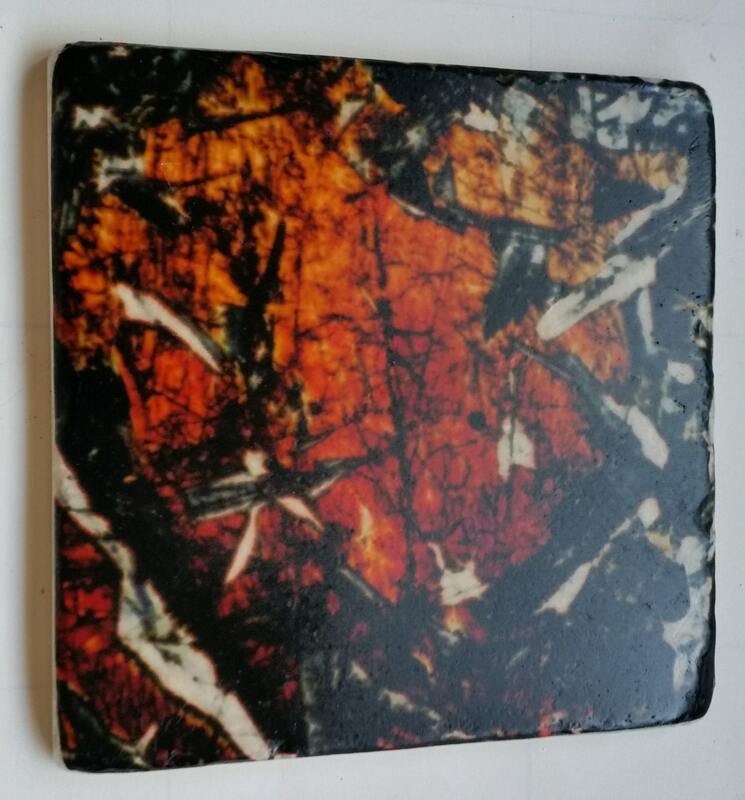 There is no minimum order quantity, if you would like to order just one tile to see if they will work for you, that's quite ok, just select quantity '1' for the size you require and I will make a single tile for you at the price and shipping cost indicated.